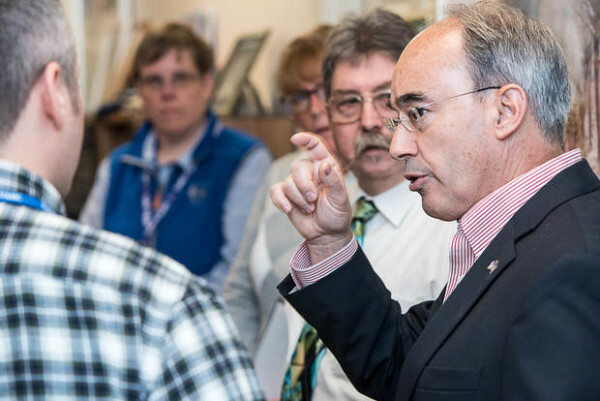 Rep. Bruce Poliquin asks questions of the staff at the Lewiston Vet Center during at a tour of the center in Lewiston in October 2015. AUGUSTA, Maine — U.S. Rep. Bruce Poliquin said at a Wednesday event that he’s “poring through” a massive trade deal with Pacific nations, but he won’t support it if it hurts Maine. The Republican from Maine’s 2nd District was put on the spot about the Trans-Pacific Partnership by Attorney General Janet Mills at a dinner held by the Maine Fair Trade Campaign, a coalition of labor, environmental and other groups that opposes the deal. His trade overtures to groups typically adversarial to Republicans come ahead of a 2016 re-election race, indicating a balancing act between his party and the working-class 2nd District, reeling from the loss of manufacturing jobs, with five major paper mills closing in the last three years, capped by the announcement last week that the mill in Madison will shut down in May. It also comes as President Barack Obama prepares to potentially send to Congress for approval the Trans-Pacific Partnership, a massive trade deal negotiated by the Democrat’s administration and Pacific countries that’s reviled by labor force who say it’ll harm U.S. manufacturing and loosen environmental regulations. Past trade deals have been linked to ill effects in Maine and elsewhere: A 2003 study for the Legislature said the state may have lost hundreds of manufacturing jobs under the 1994 North American Free Trade Agreement. Poliquin hasn’t said how he’ll vote on the Pacific deal, but he has criticized its “secretive” nature. However, he voted with the rest of Maine’s delegation in June against giving Obama “fast-track” authority to negotiate it, citing its potential impact on New Balance and its 900 Maine workers. When Poliquin won the seat in 2014, he replaced Democrat Mike Michaud, who often blasted free trade agreements. On these issues, Poliquin has followed in Michaud’s footsteps. He has picked up Michaud’s efforts to get the military to buy the company’s athletic shoes and lobbied successfully for higher tariffs on imported Canadian paper. 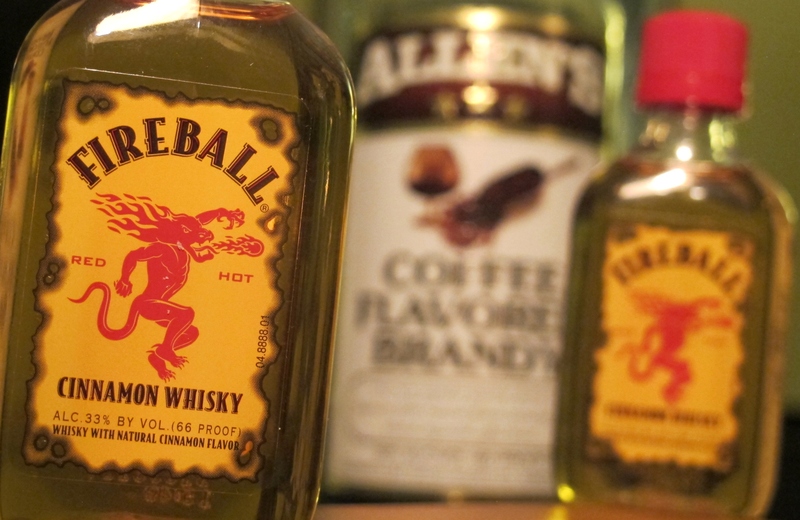 “It’s the right thing to do that also happens to be highly politically popular, so I think it’s kind of a no-brainer,” Dutson said. But in November, he’ll face a challenge from Democrat Emily Cain, his 2014 opponent. She has strong backing from Washington Democrats, has gotten endorsements from labor groups and can expect more, especially as the race is expected to be one of the national parties’ top targets. He may not shake that image on the left: Emery Deabay, president of the steelworkers’ union at the shuttered Bucksport mill, said he’d be worried about Poliquin’s vote on the deal if it comes after the election. “He comes from Wall Street and that’s where his money’s coming from, so I don’t know how he can vote against people who make money on bad trade deals,” he said.